Sophisticated, classic colors beautifully accent any look. 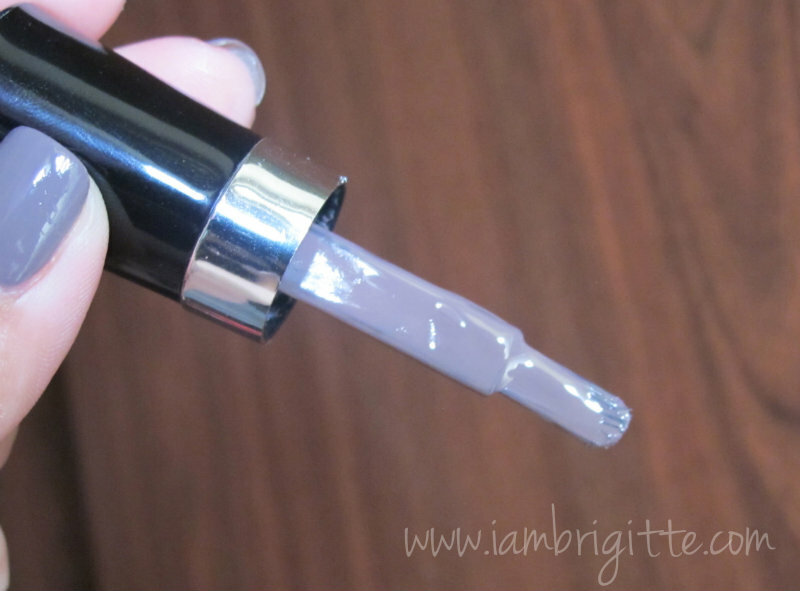 Long-lasting, opaque color provides 5 days of chip-resistant wear. A revolutionary resin polymer system creates exceptional color adhesion to nails. This resilient polish is calcium and mineral fortified to rebalance and prevent nail discoloration. Comes with a unique full-coverage brush that glides on smooth for one-stroke application. Tolune, phthalate and formaldehyde-free. I've noticed that a lot of drugstore brands are coming up with great nail polishes. 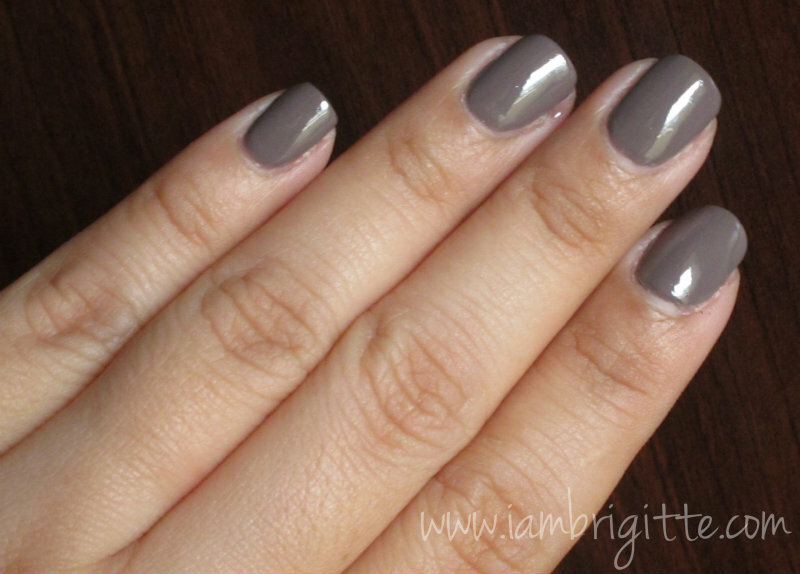 They offer awesome color selection that are long-wearing, ala-gel polish. Wet Cement is a lovely taupe, that would look good on anyone. Morena or Tisay. I applied 4 coats because I like it really dark, and it didn't bubble up. Consistency is creamy, applies on smoothly and evenly. And the pigmentation, AWESOME! Two coats and it comes off really opaque. You can also skip the top coat and it will remain glossy for days. I wore it for almost 7 days and it didn't chip as much as the other polishes would do. The brush that comes with it is flat, and wide but rounded at the end. I had a problem because some of the brush hairs are cut unevenly, so it made the application a bit tricky. But once you get the hang of it, I am pretty sure you'd love it to bits. The greatest part? It's only Php199! I think I'm gonna get more...they have 18 gorgeous colors to choose from. I am eyeing Through the Grapevine, Red a Good Book and Need a Refresh-mint. Believe me, these babies are worth checking out. I love your blog for a long time! 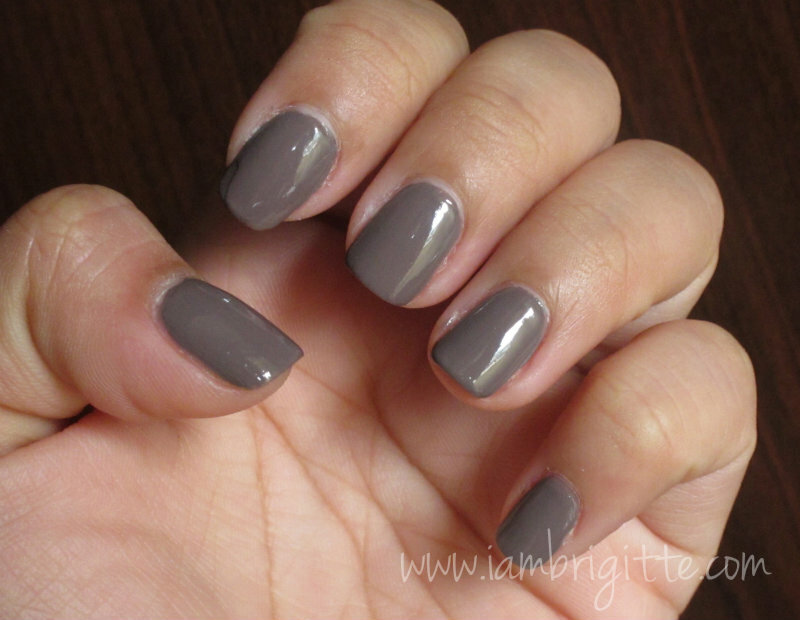 Nail color is pretty, perfect for fall. A kiss! Gray is a good neutral color, been wanting one for so long. I have my eyes on DL Waking Up In Vegas. This color's not bad though the name sounds funny. Hehe.